Panama is a small country, about the size of South Carolina, but it packs a lot of punch—a surprising variety of climates, landscapes, and lifestyles. Vibrant and cosmopolitan Panama City gets a lot of attention. But I prefer a more small-town vibe. And you can have that too in Panama, whether you want to be on the beach or in the more temperate mountains. Two great examples can be found to the west of the capital: Pedasí and Boquete. 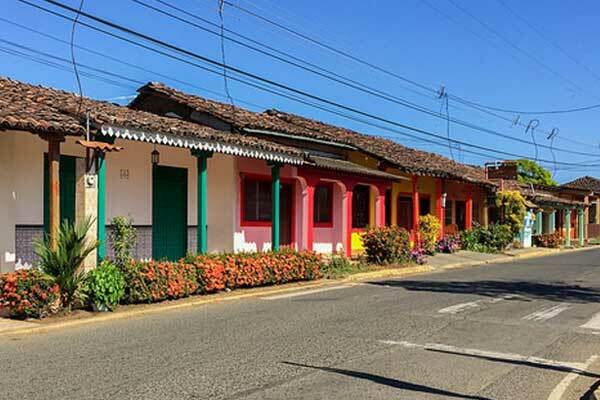 The up-and-coming Azuero Peninsula is fast becoming one of Panama’s most popular beach destinations—an alternative to chic Coronado and neighboring communities with their condo towers and gated communities, which get plenty of visitors from Panama City. Pedasí is a fishing village that is quite popular with Panamanians on holidays like Carnaval and has undergone a renaissance as an expat haven in recent years. The village itself is tidy and the homes well-kept and painted in a rainbow of colors. The expats here tend to integrate well with the community; they’re pretty low key. Brightly painted homes in the fishing village of Pedasí. The hot spot is Smileys, a classic American bar and grill with a Panamanian twist. It has a huge smoker for barbecue in the back and beers cost around $2. Go for dinner and dancing on Friday nights. Although this area is changing with the influx of newcomers, you can still hire a panga (open boat with outboard motor) for $50 to fish just offshore at Playa Arenal to catch snapper and tuna for dinner. If you fancy watching the water from shore with a cold drink in hand, there’s a simple open-air restaurant with great ceviche. It’s a no-frills life by the beach. Although at sea level it can be pretty hot during the day, it’s an area with less rainfall. looms above) has made this a breadbasket of Panama. And expats tend to have very fruitful and lush gardens. 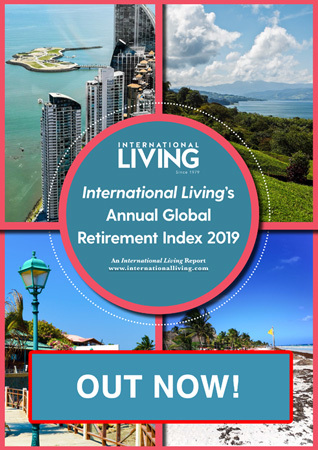 Over the years, it’s become quite popular with retirees and other expats. Some say too popular. But it definitely retains its village charm. There’s a town square, full of flowers and friendly people. And plenty of cafés and restaurants to hang out with friends—a delicious lunch can be had for under $5 a plate. A typical scene in Boquete’s country lanes. If you visit, be sure to stop in at the Tuesday market. It’s the place to meet local expats—and fill your fridge of fruits and veggies for the week. The community is very active, with plenty of clubs, get-togethers, and even an annual jazz and blues music festival. And you can’t beat the climate. It’s spring-like for most of the year; the perfect place to live outdoors and enjoy the views. You can get most of what you need for daily life in Boquete. 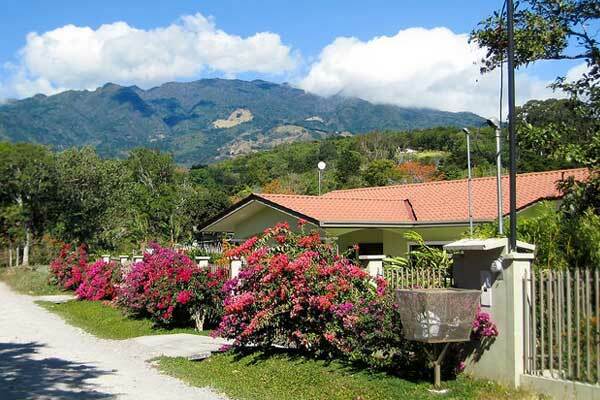 But for bigger shopping trips—and access to some of the top hospitals in Panama—you can head to David, just 30 minutes’ drive down the mountain. It’s Panama’s third largest city, with plenty of conveniences. 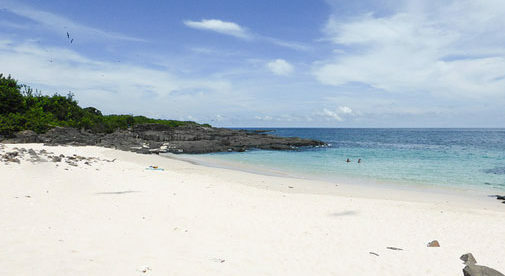 One added bonus about Boquete is that when you want to be on the beach, it’s just 45 minutes down the coast from David. You have a few stretches of Pacific to pick from. But the most popular is Boca Chica. Here you can even hire a boat to the small, jungle-covered islands just offshore. The best of both worlds.